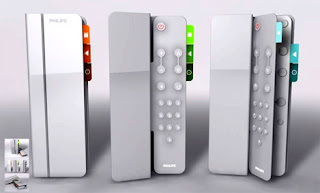 Check out this remote design (more info here). Now why does it remind me of the Wiimote. Hmm... Maybe it's only the red power button, who knows.